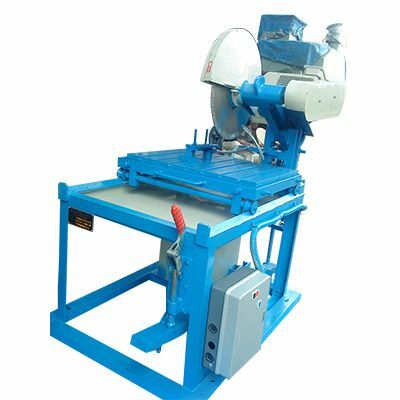 Brick Cutting Machine as the name signifies, uses for cutting bricks and tiles uniformly in different sizes and shapes. The machine has a huge demand in construction industries. Meta Therm Furnace Pvt. Ltd, being one of the most zealous Brick Cutting Machine Manufacturers in Mumbai, has the machine designed and configured at their in-house facility with the most modern raw components and techniques to meet the diverse requirements of customers. Offered Brick Cutting Machinery has sharp stainless steel blades inbuilt for cutting the bricks uniformly in different sizes and shapes as needed. This type of Brick Cutter eases the work, half the load and boost productivity, which ensures great saving in the long run. Refractory Brick Cutting Machine is very easy to use, compact in size, require low upkeep and suitable for cutting bricks and tiles. Our name is well-noted among the top-notch Brick Cutting Machines Exporters and Suppliers in India. If you are interested in our products and looking for our support to get some changes in the design, send your enquiry directly from the website.